The main theatre at the Friends School of Baltimore is central to the community life of the school, hosting the weekly Collection (student/staff convocation) and a crowded calendar of rehearsals, theatrical shows, and concerts. 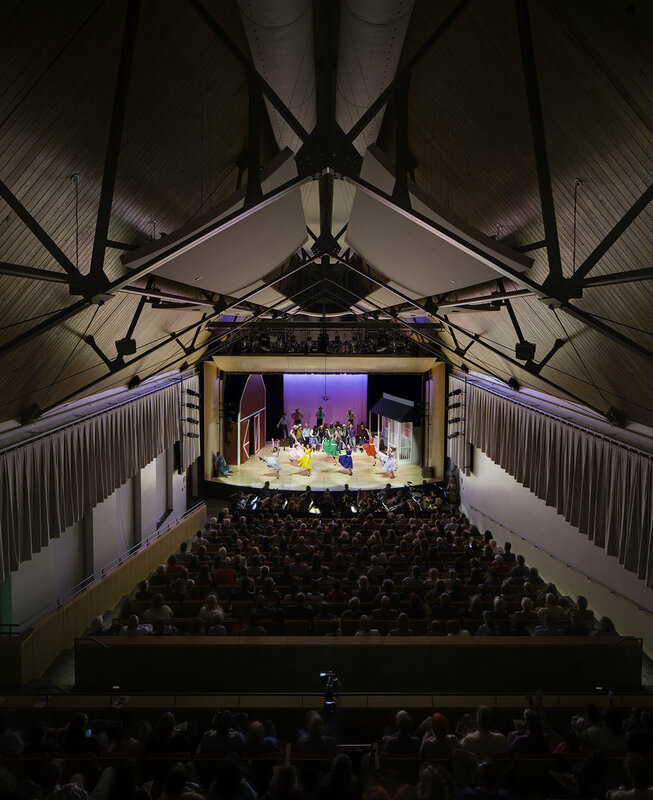 After a feasibility study for a new performing arts building pointed instead to reuse of the theatre, plans were developed to rake the floor, raise the ceiling and open the proscenium to enlarge the acoustic volume, add a control room, variable acoustics, and a major expansion of the AV systems, all within the walls of the existing building. A new lobby, designed to also hold receptions, and an extensive new scene shop were added immediately adjacent to, yet acoustically separated from the theatre.